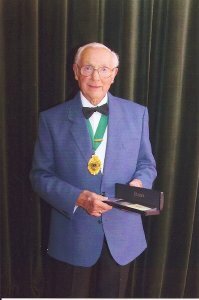 We are very sorry to have to tell you that our President, Eric Jackson, passed away this morning after a short illness. Our sincere sympathy goes to Jan, his family and his close friends. Eric has been the mainstay and a wonderful representative for the NAC for many years, and he will be sadly missed, both by the National Officers and all our member choirs. We have no information about funeral arrangements yet but will pass on anything the family deems appropriate in due course. Should you wish to express your condolences please contact either Brenda Wilkinson, NAC Chairman, or Celia Johns, NAC General Secretary, and we will ensure that your sentiments are forwarded to Eric's family.